Imagine, for a moment, that the public school district of the city in which you live decided to start a program to charge families who wanted to send their kids to a specific school. The price was pretty expensive — $16,000 in a lump-sum payment for the best schools — but in return all children in a family can attend any single school for as many years as they are eligible. However, if you want to switch schools — say from an elementary to a middle school — you may have to pay again. And oddly, the district decides that it will not use these fees to make any of its schools better, but will instead allow a variety of private companies and individuals to pocket the money. Pretty sure that you would never support such an outlandish scheme? Well, not to worry, you already do. For the system of traditional school enrollment does exactly that: one can guarantee attendance at any single school through buying a house nearby. $16,000 is the estimated increase in price for a house in the greater St. Louis area near a school with test scores in the top third of its district, according to this report by the Federal Reserve Bank. And, of course, the premium one pays for these properties does not go back to the public school system which caused them — they enrich various participants in the residential real estate industry. Indeed, if the additional dollars that currently flow to the housing industry because of the public school system were instead directed into the schools themselves, Colorado could probably avoid the anticipated $1 billion tax required to revamp the state’s school finance laws. The greatest trick the purveyors of education inequality ever pulled was to convince the general public that assigning places in a high-quality school by where one lives is enlightened, democratic and fair. It is not. Instead, the current system of admissions boundaries causes demographic stratification, excludes poor families from educational opportunities, unfairly burdens the middle class, and unjustly enriches the private residential real estate industry. The idea that public education reflects equal access for all regardless of income is noble – but the truth is we have simply masked and shifted the fees. In a system where one’s residence controls where students can attend school, what matters is what real estate a family can afford. Parents buy houses to get their kids access to better schools, which results in more housing sales at inflated prices (and greater agent commissions), and well as larger mortgage loans. Inflated demand for houses in neighborhoods with good schools creates an economic imbalance which is good for a lot of people. It helps realtors when new parents are compelled to move into specific neighborhoods — often several times in a child’s K-12 progression (which is also why, every school board election, groups like the Unified Association of Realtors suddenly come of out their political slumber and endorse the candidates who are least likely to change the status quo). It helps mortgage brokers through the additional volume of loans. It helps commercial lenders, as the size of loans increase. What it does not help are most families. In truth, [this resident] said she moved to Stapleton for its schools and pays extra taxes to support a top-notch public education for her children. “We accepted the higher tax rate in lieu of paying private school tuition,” [she] said. True enough, but this is not the trade. Stapleton’s residents do not gain school admission through their taxes, they do it through their ability to pay high housing prices. In Denver’s elite private schools, tuition runs in excess of $15,000 per child per year, and like the woman quoted above, most Stapleton families have more than one child. Private school tuition of $30,000 a year is equal to the entire mortgage on a $480,000 house, not the taxes. In the past month, according to Trulia, the median sales price in Stapleton is $459,900, which is 82% higher than the median sales price for Denver. 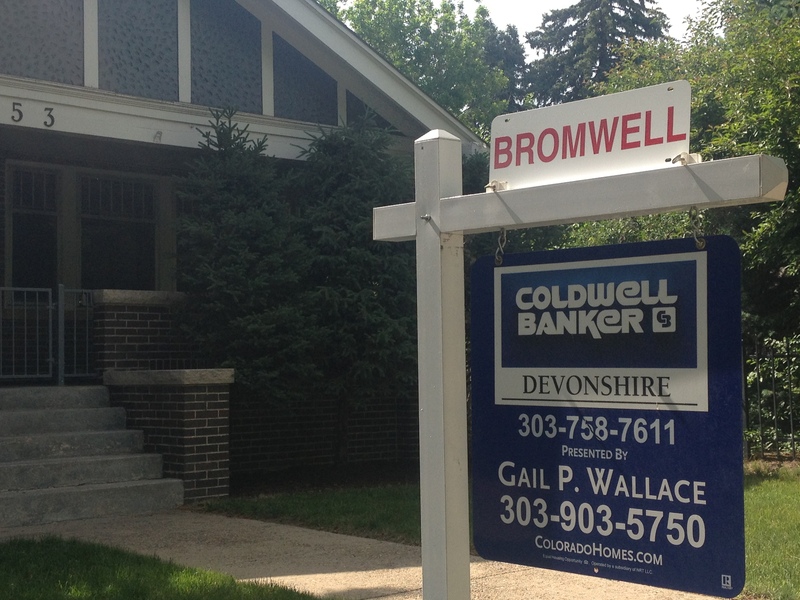 Yet the average price per square foot for homes in Stapleton was 5% lower than in Denver. More money and less space; Stapleton residents are not just buying houses, they are buying entry to schools. For the central issue here is very simple: in our public education system, should families be able to purchase a place in a specific school? If the answer to that question is “no”, then it should not matter if the cash is a direct payment to the school district, part of a real estate transaction, or an altruistic donation to cure cancer in orphans. Traditional geographic enrollment in the public school system is quite possibly the single largest contributor to the severe inequality and economic segregation that plagues the noble premise of equal educational opportunity for every child. DPS is right to look for ways to challenge and change this premise, and they deserve both admiration and support. This entry was posted in Engagement, Fiscal & Economic, Poverty and tagged DPS (Denver Public Schools). Bookmark the permalink. I don’t have children so can’t speak to the details of the system, but you should check out the Seattle public school district. Not that the schools are anything to envy (I have friends who recently moved across the country and the education system in Seattle was one of their deciding factors), but the school-assignment (lottery) system is pretty different from the more common geographical-boundary system I’m familiar with from my childhood in Maryland. I dont have much to contribute here, but just wanted to say that it is a pretty thought provoking read and something I have thought for a while, just haven’t had the words or the research to give it some weight. Is there anywhere in the country where property taxes/real estate don’t equate to school quality in this type of cycle? Is there anywhere that has an effective Robin Hood bill (like what used to exist in Texas) that helps to support property poor school zones?